Foam Lamp Post Prop - Dino Rentos Studios, INC. 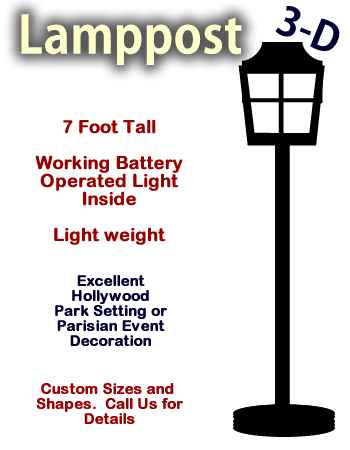 This lamp post prop is great for stage and film, scenic sets, and window displays. 7 foot tall. All black. Made of foam and plastic - lightweight. Comes with battery operated candle inside lamp post.